Our technicians are more than capable of providing every local homeowner with an affordable and effective solution to their garage door-related problems. Below are examples of some of the latest projects that we completed. 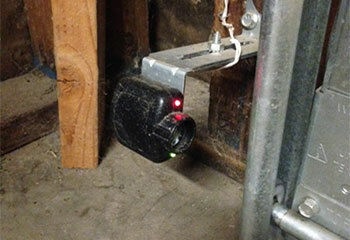 Customer Issue: The customer’s garage door remote control stopped working entirely, though the lights remained on. Our Solution: The wall switch was working, so our team tested the remote control’s functionality by connecting it to another device, and found nothing wrong. 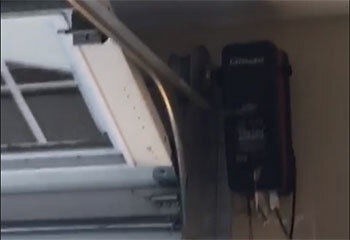 Next, they examined the garage door opener’s antenna, and discovered a nasty fracture. Replacing the antenna turned out to be the solution to the problem. 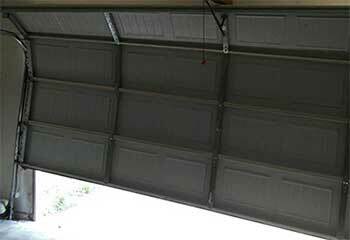 Customer Issue: A garage door came off its right track, due to a couple of broken roller. Our Solution: Once the opener was disconnected and the faulty rollers were replaced, our team pulled the emergency release, opened the door manually, and adjusted the new rollers into place before easing the door shut and reconnecting the opener. Our Solution: We offered this customer a few options, and he ended up going with LiftMaster's 8164W 1/2 HP AC Chain-drive model. 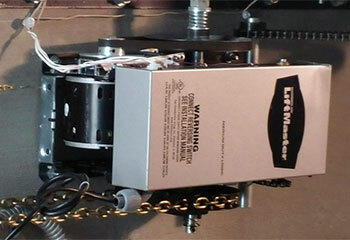 We then installed the new opener for him and made sure he was completely satisfied with our work. Our Solution: We quickly were able to ascertain that the problem had resulted from the safety sensors detecting a false positive. I.e., they "thought" something was blocking the door's path when actually nothing was there. After realigning them we made sure their lenses weren't scratched and tested them out to make sure they would still reverse the door's operation when they needed to. Our Solution: After arriving at this customer's home we quickly removed both extension springs, as the one that had yet to break was getting close to doing so. 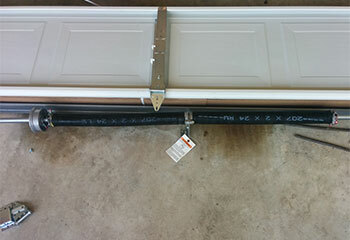 We then installed a new set in their place and made sure the door was capable of opening and closing effortlessly again.